It’s Halloween season, and that’s the perfect time to get that crystal ball out and look into the future of your business. If the prospects seem seem a bit gloomy, it might be a good idea to draw those tarot cards and start reading your customers’ minds. The key to driving customer satisfaction and loyalty is to think like a customer. Fortunately, you don’t need to be an experienced clairvoyant to cross over into the customer realm. Set yourself apart from the pseudo-psychics- simply drawing up cards and “anonymously” drawing out information is not the best solution. Instead, hold a dedicated séance and make a list of questions and concerns that frequently arise during customer conversations. Go down the list and see which ones can be avoided, and which ones should be brought up to the organization. This is also a great way to prepare for future discussions with customers. Mind-reading isn’t all magic. Before reading your customers’ minds, you need to know who they are, and where they reside. Are they most likely to get their information from other people or from the web? Do they heavily rely on their mobile phones because they are constantly on the go? The only way to find out, is to talk to your customers and ask them which communication channels and social media networks they use most. Communicate with them via these channels and read into their social media posts to find out what they are thinking. 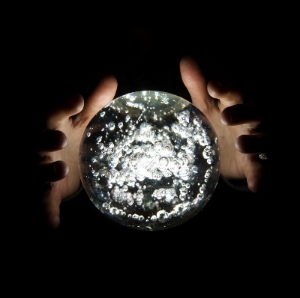 Your Twitter account should go hand-in-hand with your crystal ball. Instead of trying just to reach your customer’s analytical reasonings, enter their souls and feel the emotions they are feeling. According to a research conducted by the Forum Corporation, “70 per cent of customer defection is due to poor experience, not product or price. It’s at the point of service delivery that customer emotions are at their highest and it’s then that they’re likely to make a decision about future behavior.” (CMS wire). By getting a sense of how they would feel about your products and how they are treated, you will be able to react quickly, which is the key to customer satisfaction. Hopefully these little tricks will conjure positive energy throughout your organization, and allow all customer negativity to vanish. Don’t just serve your customers – be one of them.